The home of Big Macs and fries has opened an experimental cafe serving pulled pork and tofu in a bid to claw back market share in the increasingly competitive cafe industry. 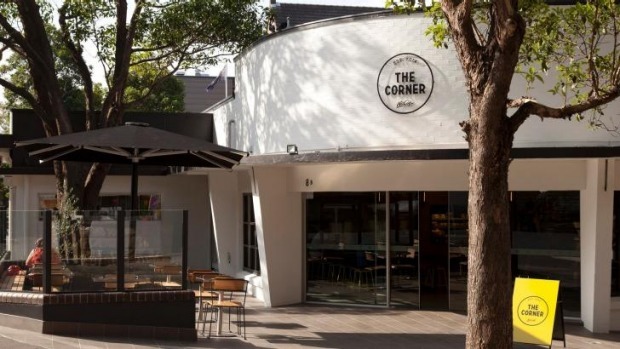 From the outside, The Corner cafe in Camperdown in Sydney's inner-west, next to the Royal Prince Alfred Hospital, looks nothing like its former McCafe self. Rather, McDonald's so-called "learning lab" resembles any of the numerous trendy cafes in Sydney's inner-city suburbs. The only giveaway it belongs to McDonald's is a little McCafe logo at the bottom of its sign. On the menu are trendy food items such as Moroccan chicken salad, chipotle pulled pork and cold-drip coffee instead of the pastries and muffins served at McDonald's McCafes. McDonald's will use The Corner to test the new, healthier menu with the possibility of rolling it out across McCafes in Australia, a spokesman said. Like many independently owned cafes, The Corner invested heavily in a social media campaign complete with its own Facebook page and highly filtered Instagram photos. Post by The Corner by McCafe. McDonald's Australia spokesman Chris Grant said the fast-food giant wanted to get customer feedback on its new menu, some of which might be used at McCafes across Australia. "It's about listening to our customers," Mr Grant said. "Products people love at the location might be used in other restaurants." The McDonald's experiment is taking place as globally owned chain cafes battle independently owned cafes for market share. Launched in Melbourne in 1993, McCafes once generated 15 per cent more revenue than a regular McDonald's. By 2013, McCafe's market share in the cafe and bar industry dwindled to 3 per cent, even though the number of outlets continued to increase to 705, according to market research by Euromonitor International. The London-based market intelligence company said the coffee industry in Australia became increasingly sophisticated. "[A]n extensive range of different coffee types continued to proliferate, including organic, fair trade, sustainable, single-source, carbon-neutral and micro-roasted artisanal," the report said. As customers have shunned chain-coffee outlets in favour of more independent outlets, McCafe and its competitors Gloria Jeans, Starbucks and The Coffee Club have focused more on their food offerings rather than exclusively focusing on drinks, according to the Euromonitor research. So far, customers have welcomed McDonald's concept. "Would love to see this concept expanded to Highway stores so truckers and travellers would have healthier low fat plant-based fast food options," Anni Turnbull, a customer, said. But McDonald's Australia spokesman Chris Grant said the fast-food chain had no plans to open more cafes like The Corner around Australia. Instead, McDonald's will be testing the new menu with the possibility of rolling them out across McCafes in Australia. 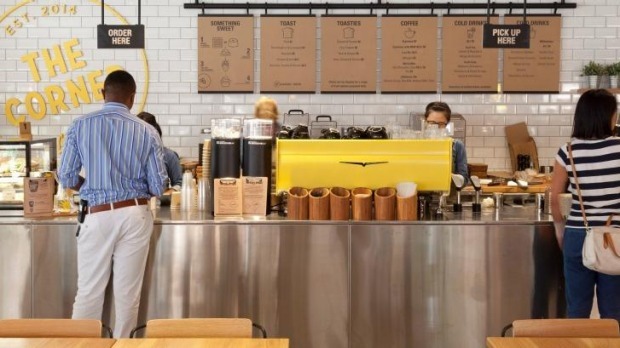 "While we don't have plans at this stage to roll out The Corner concept nationally, it will be used to gauge customer feedback to enhance the offering in our more than 700 McCafes around the country," Mr Grant said.